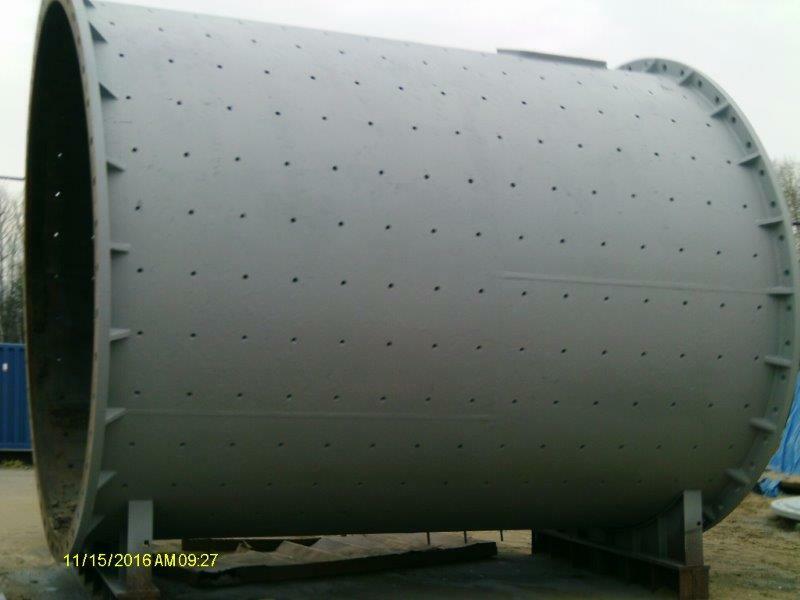 1 – Used 17' dia x 5' long Aerofall autogenous mill; - 20" w x 83" dia, shoe style bearings - 4 piece ring gear, spur cut, 248 teeth -18" wide - 18 tooth pinion, 18,5" wide - Feed chute - Cylindrical shell with removable heads - Two spare pinions - partially refurbished. 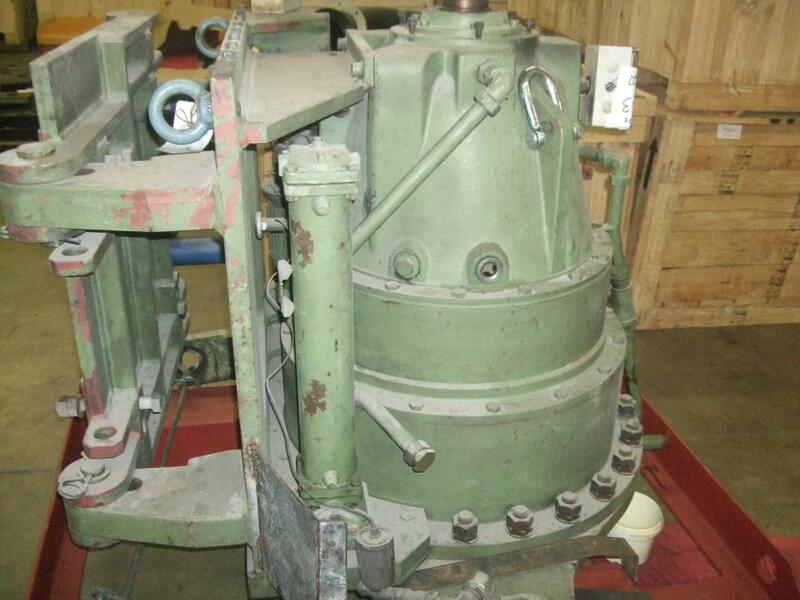 1 – used HPGR ( High pressure grinding roll) • 320 mm wide x 1000 mm dia rolls • Model RPV 100-32 • Manufactured by Humbolt-Wedag AG • Manufactured in 1988 • Roll speed: 2.3 – 26.7 r/ min circumferential • 100 KN compacting pressure • 2 x 200 KW press motors • 2 stage planetary gear box • The unit is dismantled, some work required. Electricals are 3/50 HZ. 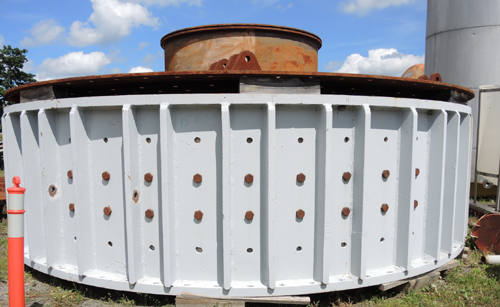 1 used Koppers, VTM-250 Vertical Tower Mill - 8' dia x 18' high (2438mm x 5486mm) - 3/8" thick carbon steel shell - 1/4" bonded rubber lining (fair) - 2.5" x 2.5" steel lifters -Falk gear reducer model 2150ybxd2, rated 250 hp input speed 1750 rpm, final output 63.3 rpm, ratio 27.63:1 -250 hp, 1780 rpm Toshiba TEFC, high efficiency motor 575 volt, - grinding screw, 43" dia x 15'6" long with 8" dia solid steel shaft with 3/8". 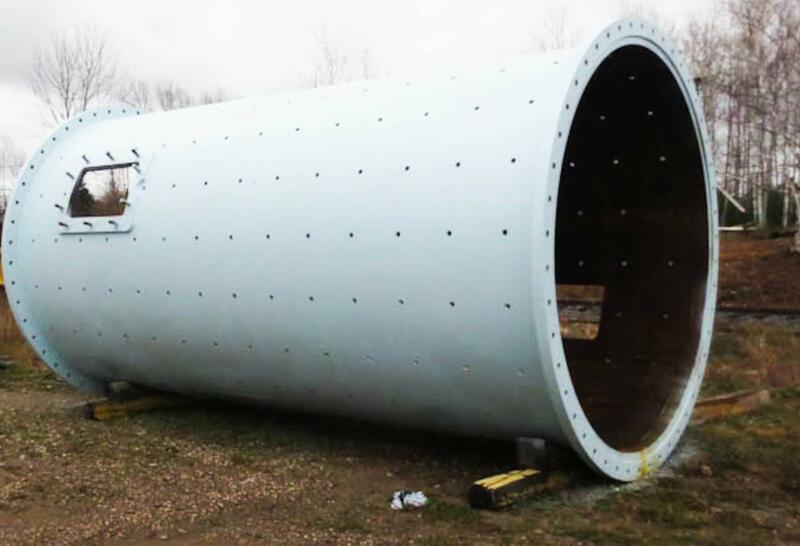 1 - Used 9' dia x 18' long Fuller (F.L. 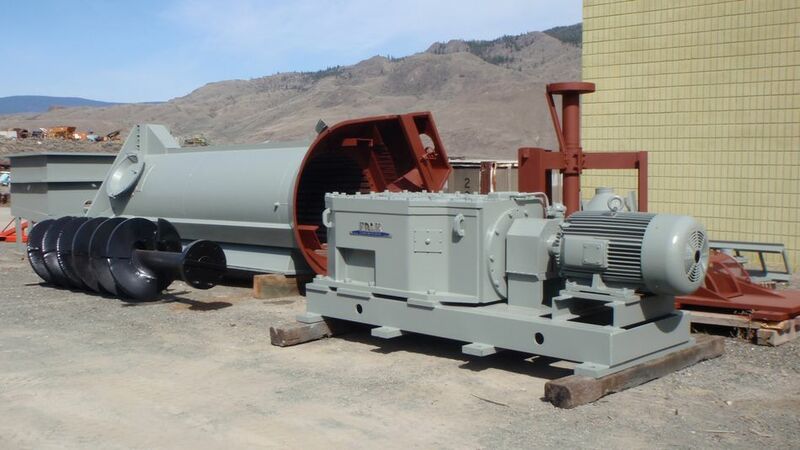 Smidth) ball mills, 9' dia inside, 18' long flange to flange, gravity fed, overflow discharge with trommel, 52" dia x 13" main bearings, 600 HP motors (3/60/4160 V), pneumatic clutch, gear reducer, inching device. ( Sister Mill also Available). 12.5' dia. X 16' Long; 1250 HP Synchronous Motor; Fawick VC 1000 Clutch; Rubber Liners (New); 24" wide Herringbone Gears -Removed, cleaned and ready for shipment. More Used Equipment from CJT Surplus Equipment Ltd.
See More Equipment From CJT Surplus Equipment Ltd. Featured Listings From CJT Surplus Equipment Ltd.